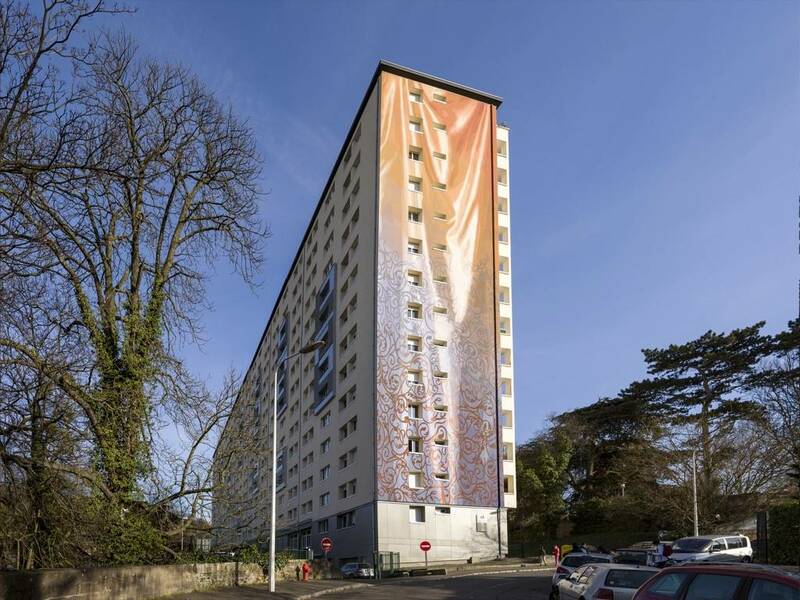 In 2015, Vilogia launched a huge monumental embellishment project for its property of 450 dwellings at Vallonnière in Lyon. 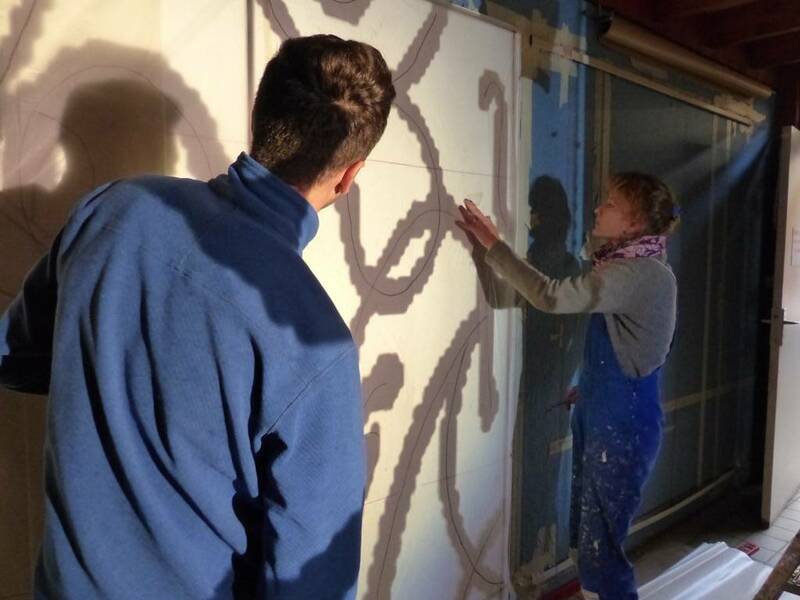 Part of a refurbishment and housing programme, the aim of this project was to improve the living environment of the tenants by combining aesthetic considerations with energy efficiency. 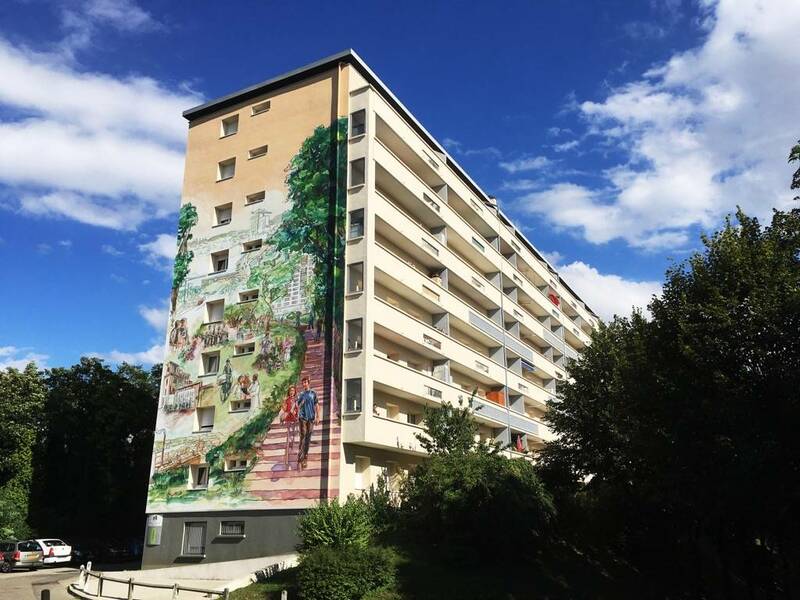 Vilogia commissioned a monumental mural design project from CitéCréation, placing particular emphasis on the challenge of joint creation with the residents. 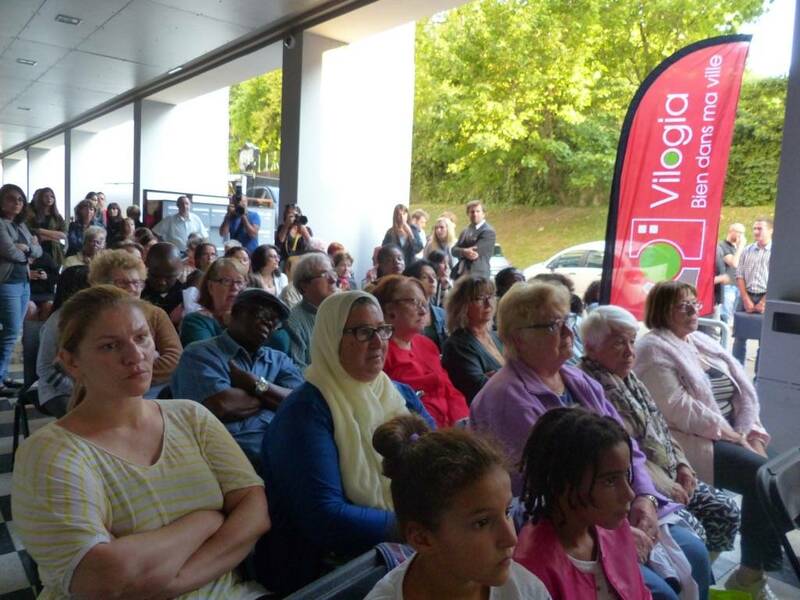 The project that we performed with the residents of Vallonnière and CitéCréation made us particularly proud. 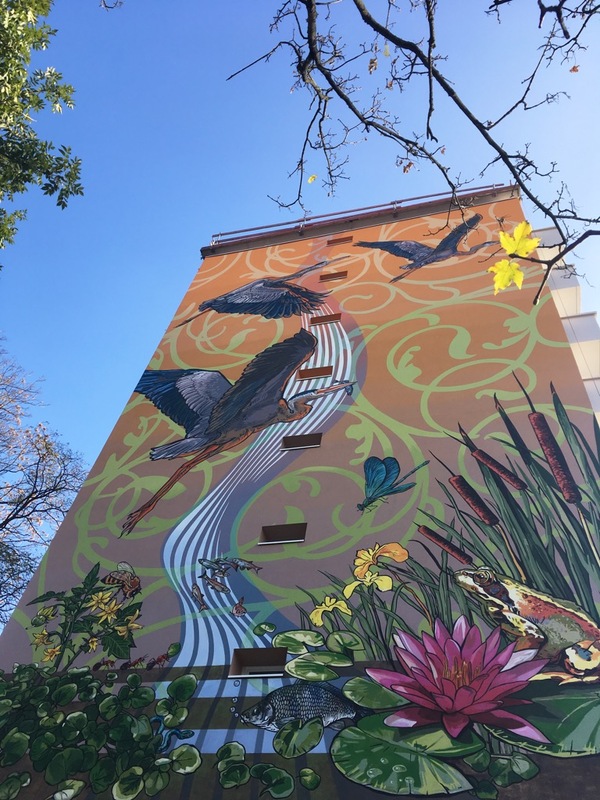 These monumental works of course render homage to the district’s history, especially that of textiles which echoes with the history of Vilogia. 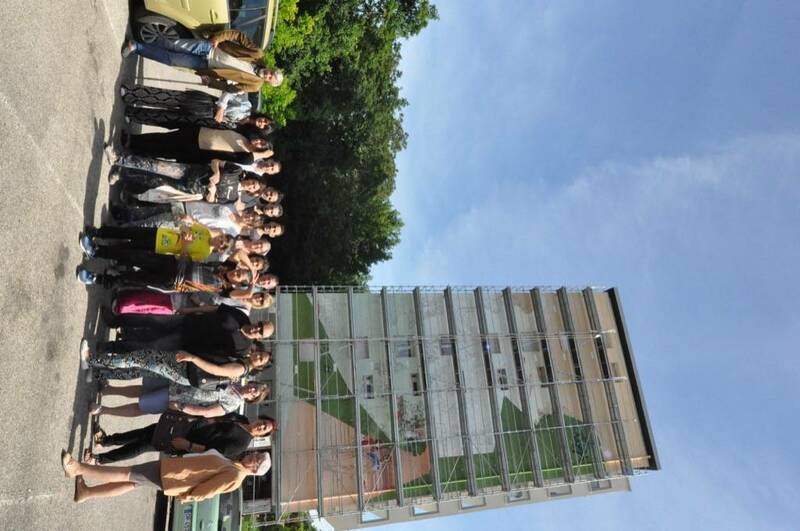 The Vallonnière high rise estate was built between 1963 and 1965 in view to housing the employees of large local industrial and service companies (Rhodiacéta, Hospices Civils de Lyon, etc.). This very visible ensemble at the north entry of the city is composed of 3 buildings with 450 apartments and can house up to 2,000 people. 60 years after its construction the estate is destined to fulfil a new urban role and upgrade its identity. 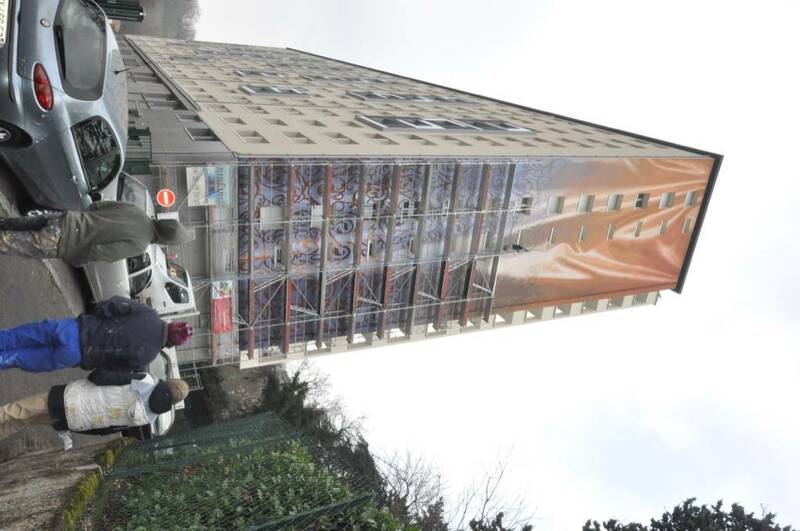 This upgrade is important for renewing the link between the buildings and their residents. 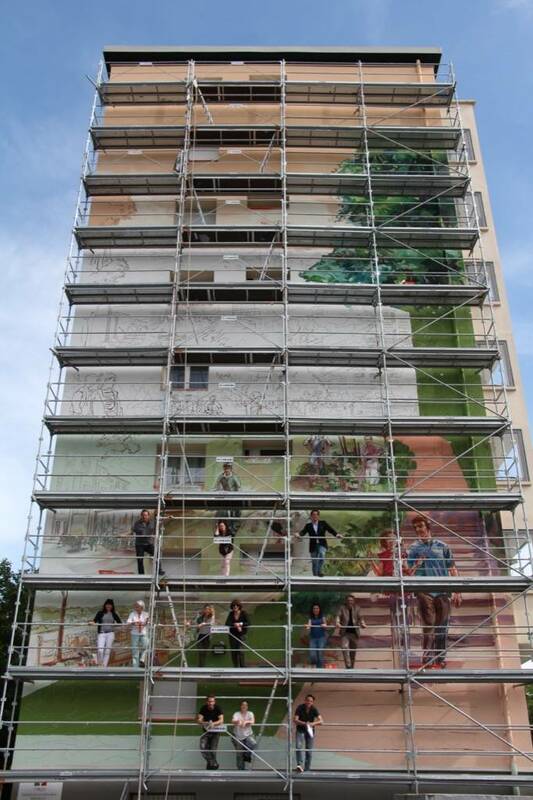 Under the supervision of the contracting owner, Vilogia, CitéCréation designed and produced a circuit of three monumental murals intended to break the uniformity of the buildings and create a dialogue between the latter and their environment. 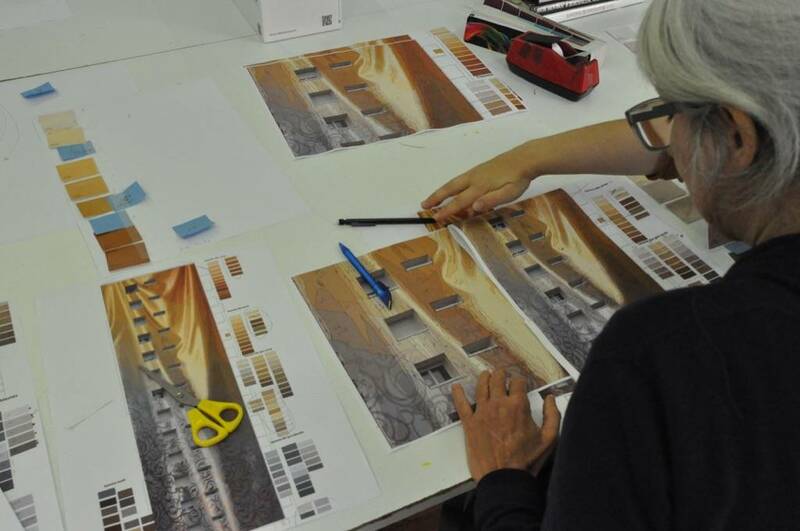 The visuals of the three monumental pictural works on the buildings were designed with the tenants who participated in three creative workshops. They echo the history of the high rise estate and provide the starting point for creating a new and strong identity for this residential site. 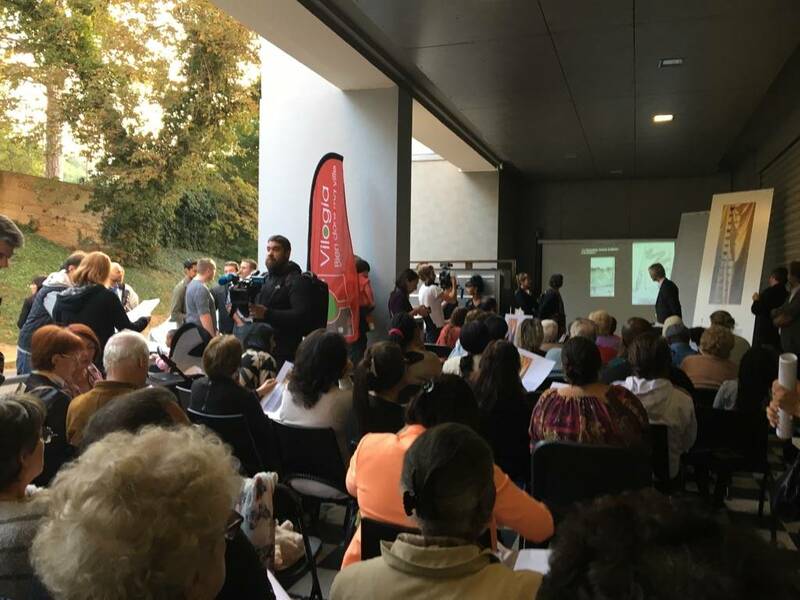 The project has led to strong dynamism among the tenants with a reduction of vandalism and the collective assertion of pride in their estate. 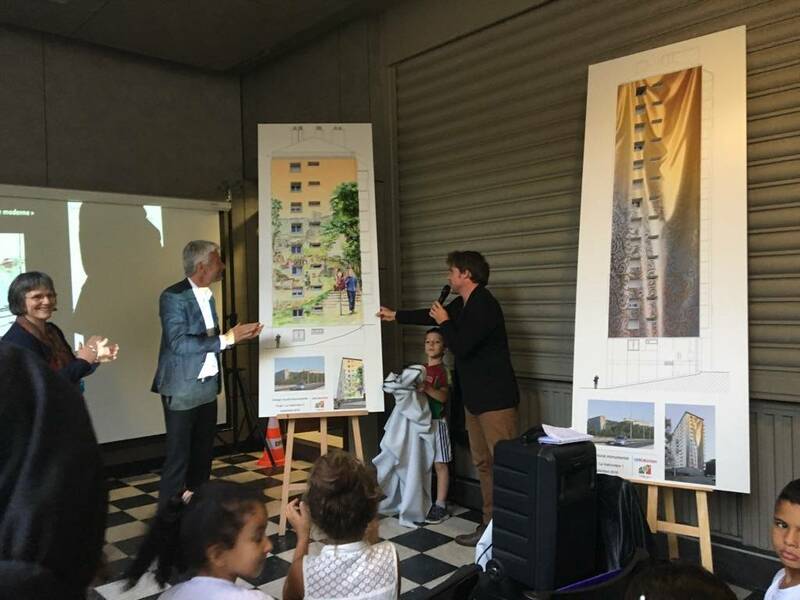 The image of the entrance into Lyon has been renewed and visitors come to discover this new urban facility designed to make the district more attractive and forge a link with the city centre. 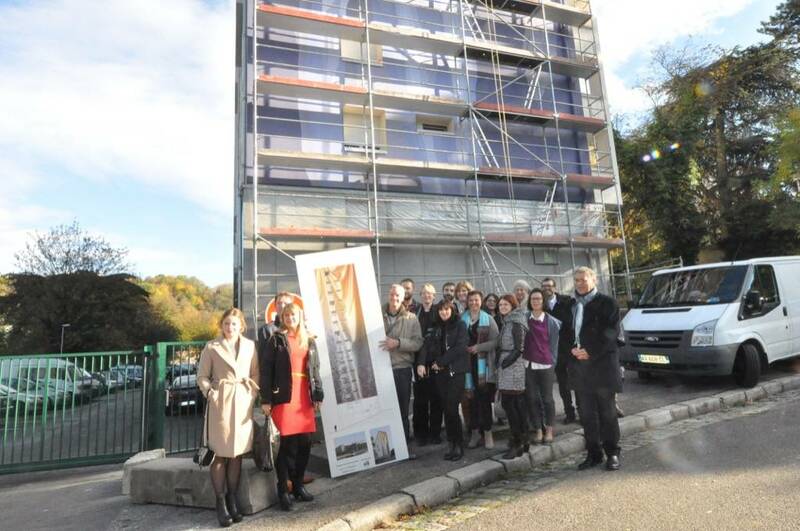 Project manager: Atelier A+ (architect), Eiffage, ENF. Partners: Municipality of the 9th arrondissement. 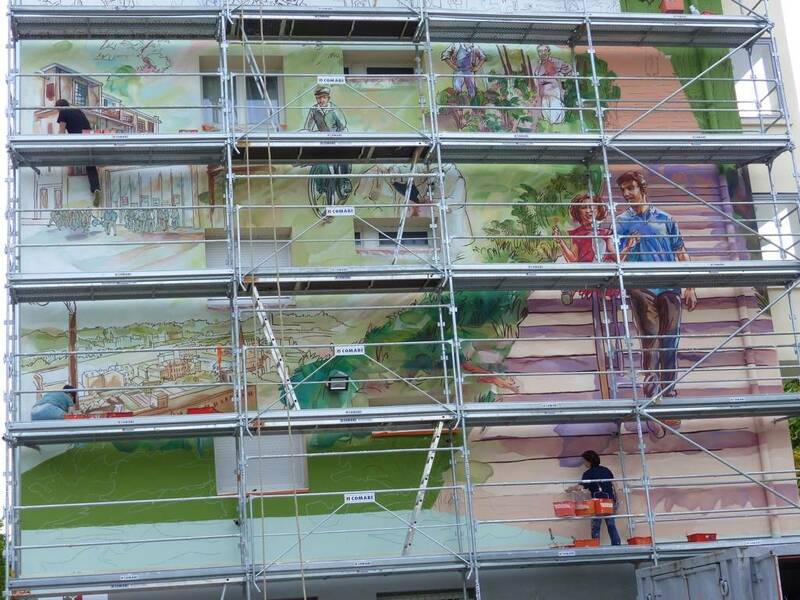 Consultation / Design / Production of 3 murals on the property produced in 2 years. 450 dwellings in 3 buildings (240 / 100 / 90). * Excluding scaffolding, surface preparation, team facilities, site office with access to water.